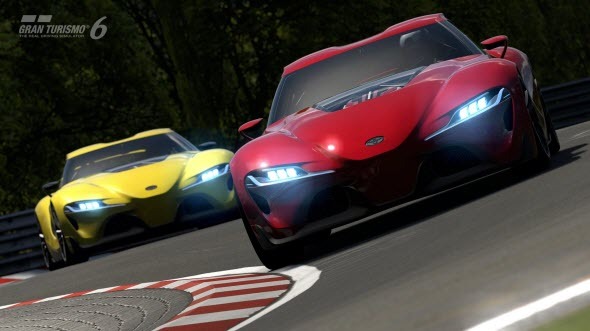 Although Gran Turismo 6 game was launched only a month ago, its developers have already decided to please the fans of their racing simulator and have released new free update as soon as possible. 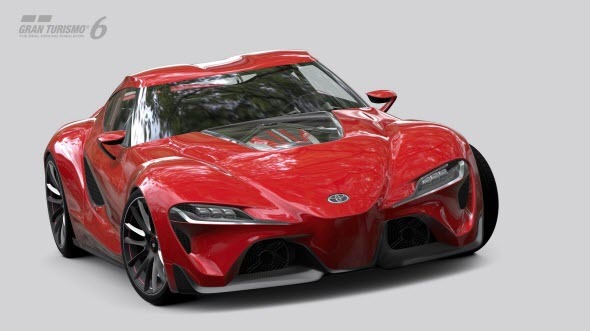 This fresh update actually gives an exclusive opportunity to the gamers to pilote Toyota FT-1 Concept Coupe - new sport car from Toyota company, which has recently been demonstrated on Detroit motor show for the first time. 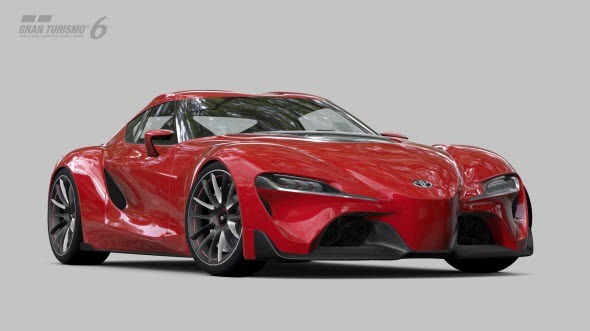 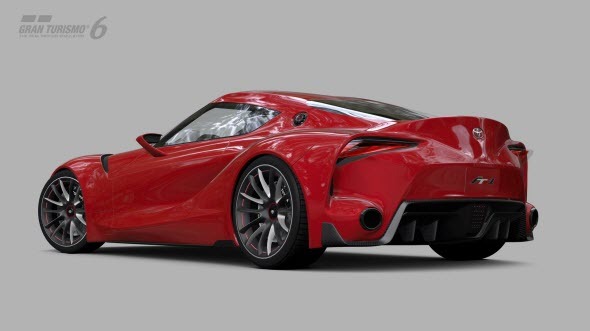 And thanks to the collaboration between Polyphony Digital (the project’s developer) and Calty Design Research - the company, which has created the design of the car, - GT6 gamers will have a unique opportunity to be the fist ones who will try out and enjoy new exciting Toyota FT-1 Concept Coupe sport car. 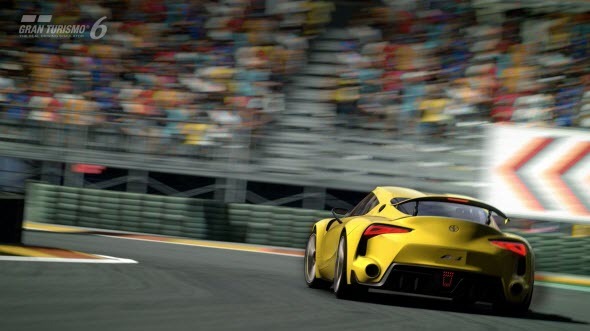 Fresh Gran Turismo 6 update is already available for download for all game’s owners, but in order you are able to imagine how the car looks like and what its capabilities are (before you download the update), we suggest you looking at the sreenshots of the automobile and its video. 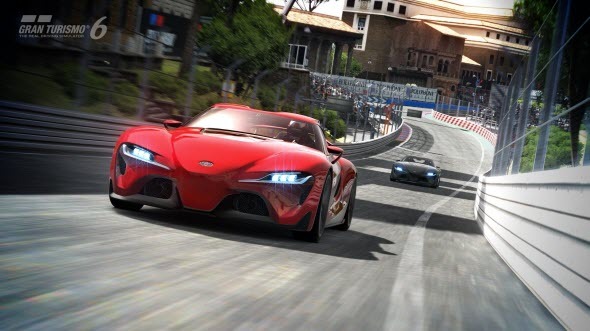 Gran Turismo 6 game was released on the 6th of December 2013 exclusively for PS3.